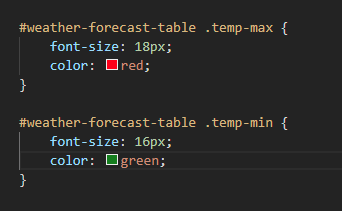 I have managed to get the weather binding up and running but I am unable to edit the font colour in the html file. I even tried to change the fonts but no changes. No errors were in the logs either. Anybody knows what’s wrong? I dont know the weather binding but the code on the screenshot looks correct. Have you restarted your openhab server after the change ? Maybe the old version of the code exsists in the chache and the new one get loaded on an restart !? EDIT: okay it’s working now…I did not add the binding into the sitemap. 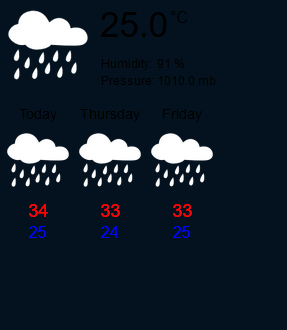 I thought having the weather binding only on the HABPanel would be sufficient. Thanks for taking the time to reply though!